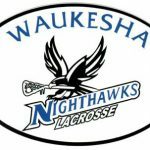 Registration is now open for the 2019 Waukesha Lady Nighthawks lacrosse season. See waukeshalacrosseclub.com for details. The Waukesha Lady Nighthawks Girls Lacrosse team will be conducting an offseason practice on Sunday January 13, 2018 from 7:30p-9p at the Waukesha West Fieldhouse. Girls interested in playing lacrosse this season are welcome and encouraged to attend. Girls Junior Varsity Lacrosse, Girls Varsity Lacrosse · Sep 14 Interested in Girls Lacrosse? The Waukesha Lady Nighthawks Girls Lacrosse team will be conducting an offseason practice on Tuesday September 18, 2018 from 6:30p-8:30p at the Waukesha West Stadium. Girls interested in playing lacrosse this season are welcome to attend. Information about this program can be found on the Girls Lacrosse Team page.